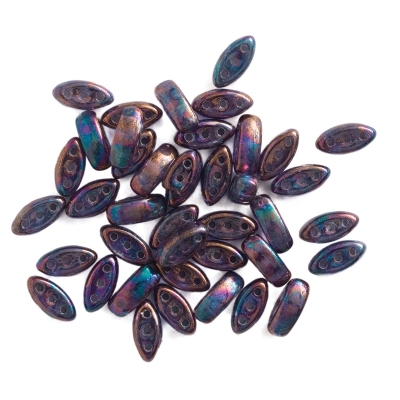 John Bead Czech Glass Cali Three-Hole Beads are great for creative beaders who construct complex shapes. These beads are curved on both sides and feature three stringing holes. Use Cali Beads as a spacer or accent, to showcase seed beads, or as the framework for larger bead-weaving pieces.